Remember playing with walkie-talkies when you were little? It was exciting, even if you and your playmate were stuck indoors on a rainy day. One of you would hide in the upstairs and whisper hints about where you were hiding to your playmate. You played with them while you played cops and robbers. You played with them while running around the neighborhood. You even played with the walkie-talkies while on road trips with other families, telling each other knock-knock jokes while you were thirty yards apart. All these memories are great but they could be nothing compared to the adventures your child could happen when they have access to these classic toys. These walkie talkies come with instructions to make using them easy. They can communicate for up to one-thousand meters so adventures can be even more exciting. Of course, running will be required. Each one simply clips on to a belt, making sure the walkie-talkies don't get lost during rough and tumble playtime. Tough kids who are dressed in military costume can even use the morse code function to give their imaginations a spike. All you need to make them work are two nine-volt batteries and there will be hours of fun to come! There's no way we can name all the ways your child might use these walkie-talkies because we're just not as creative as your quick thinker. Still, this is a great addition to police costumes or military ensembles. Once they've got these classic radios in hand cops and robbers will never be the same. 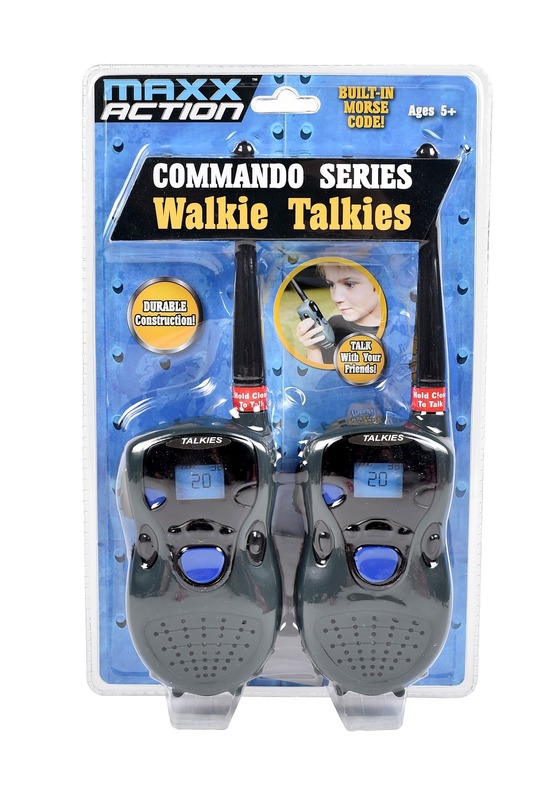 If these walkie talkies are a hit let us know how much fun you and your kids are having by leaving a review. Over and Out!